We only serve the good oysters. 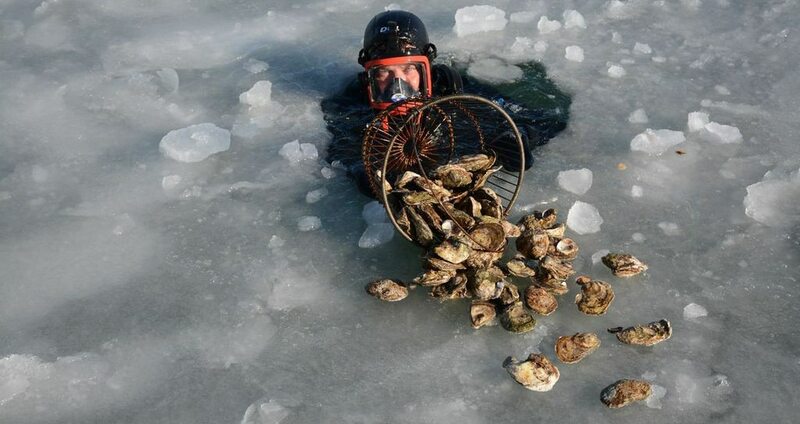 At Jax Fish House and Oyster bar, we search tirelessly for the freshest oysters. The best of the best is all we choose, and we fly them in, DAILY. Because of YOU and our healthy community of oyster lovers, we are able to guarantee ONLY the freshest and most highly sought-after seafood in the country. We have amazing partners who guarantee that we receive FRESHER product than that destined for either coast. If you are interested in enjoying tasty mollusks from both coasts at the same sitting, you could argue that Jax is perfectly located as the ideal oyster eating destination. Any east coast oyster is going to have to travel twice as far to reach a destination in Los Angeles, and if they want Kumamoto Oysters in NYC, they have to travel all the way from Washington state; twice as far as they do to get to Jax. In addition to the Emersum’s, we routinely have between 4-10 different varieties available to be shucked, fresh to order. The oyster is the perfect food; naturally low in fat, high in omega-3’s, and a good source of vitamins A, B1, B2, B3, C and D. The national heart and lung institute suggests oysters as an ideal food for inclusion in low-cholesterol diets and four to five medium-sized oysters supply the recommended daily allowance of iron, copper, zinc, iodine, magnesium, calcium, manganese and phosphorous. They ARE a multi-vitamin! 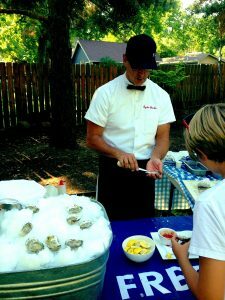 Add a roving oyster bar to your event and really impress your guests! We have unmatched access to the freshest, most responsibly sourced seafood on the planet. Our talented team of expert shuckers will recreate the magic & energy of the Jax Raw Bar experience, anywhere you want it. Contact Jenni@bigredf.com for more information.